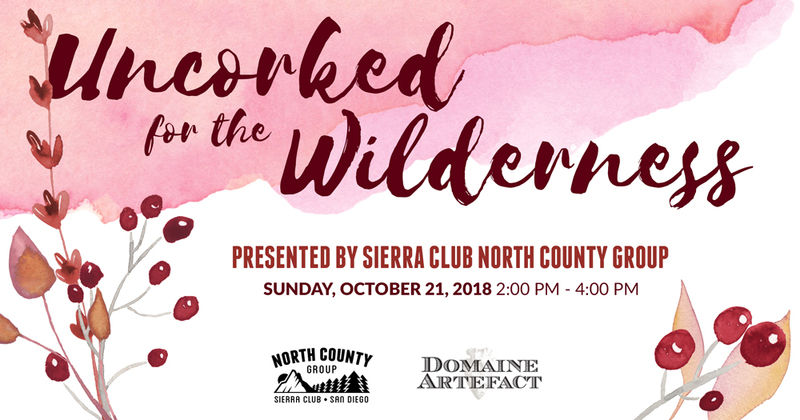 Uncorked for the Wilderness, Wine Down With the Sierra Club | North County Group – Sierra Club S.D. Come join us October 21 for wine and hors d’oeuvres at the beautiful Domaine Artefact Winery & Vineyard in Escondido! Wine down with the Sierra Club at this beautiful North County vineyard. The proceeds from this event will support the Sierra Club in San Diego.